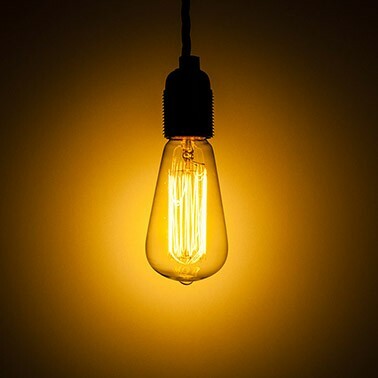 Our 40W squirrel cage filament bulb gives off a lovely soft glow that’s very pleasing on the eye. The classic teardrop shape is finished with an authentic pip on the top of the glass so it matches the original Edison design. They have a long life filament, standard screw (E27) fitting and are fully dimmable. These decorative bulbs need to be shown off and we love to see them either hanging free in a retro pendant fitting or surrounded by a glass light shade. The light output of the 40W version is 200 Lumens. If you require a brighter light then our 60W version may be more suitable.